Noticeably improves the hair structure. Improves elasticity and makes it easier to comb. Gives hair suppleness, shine and vitality. 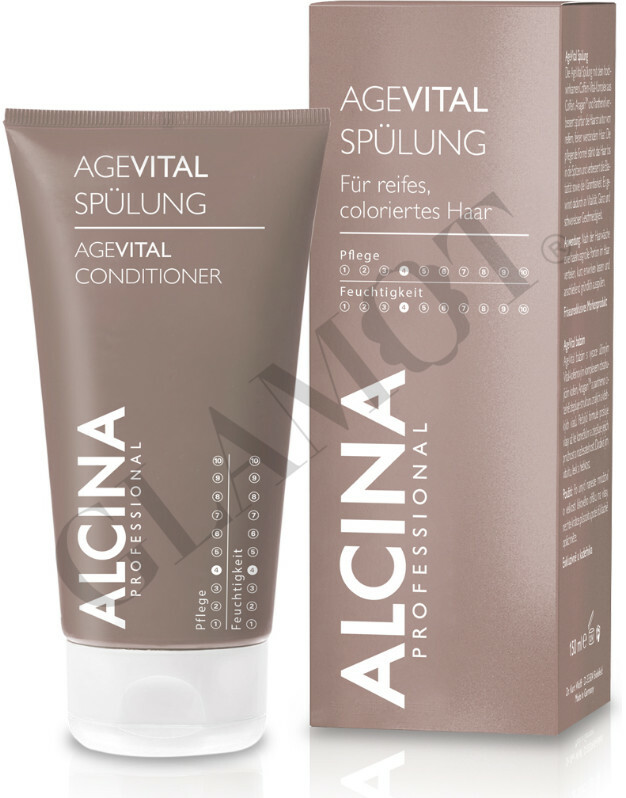 ALCINA's anti-ageing AgeVital Conditioner with the highly effective caffeine vital complex made from caffeine, AnagainTM and panthenol noticeably improves your hair structure and cares for mature, thinning hair. 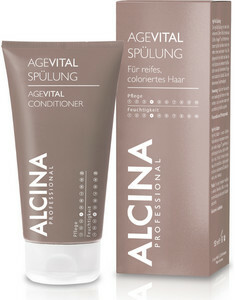 The special formula strengthens the hair right to the tips, improves elasticity and makes it easier to comb. This gives your hair vitality, making it soft and shiny without weighing it down.